Home/LAB Guides/How to create NFS Share ? NFS (Network File System) protocol designed by sun microsystems. 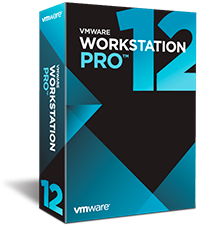 It is client/server application which allows remote users to store & access the files through network. 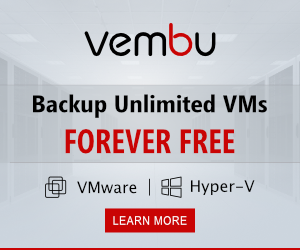 I am posting this because NFS is also used in VMware vSphere Infra as a storage. 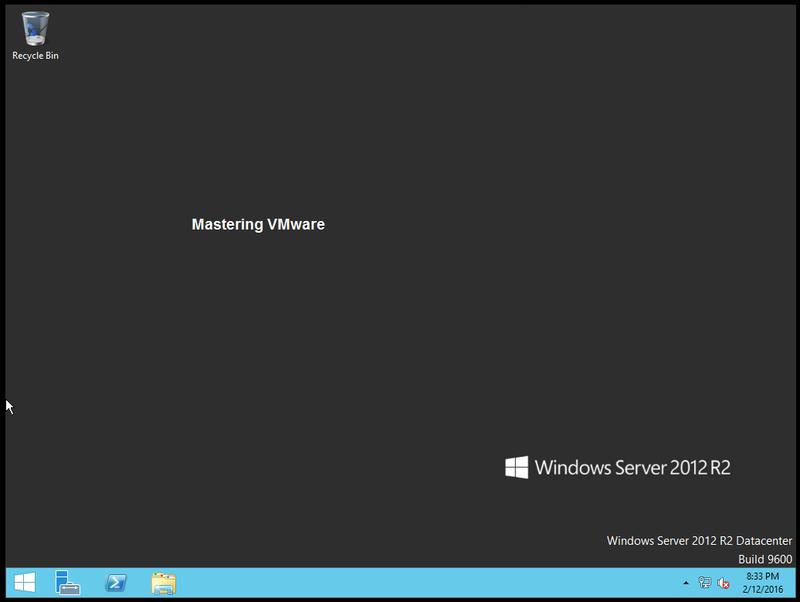 So for your LAB Environment you can use windows server to setup NFS & get hands on. So After installing NFS Server now it is time to create NFS Share directory for using it as NFS directory. 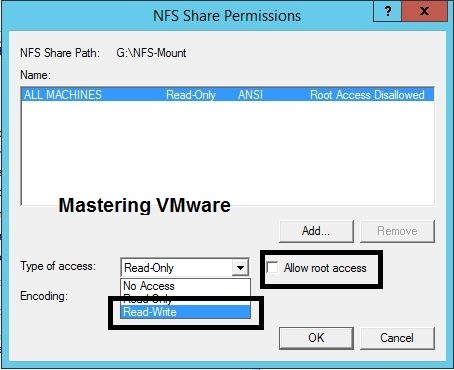 Let’s check Step by Step how to create NFS Share in Windows Server. 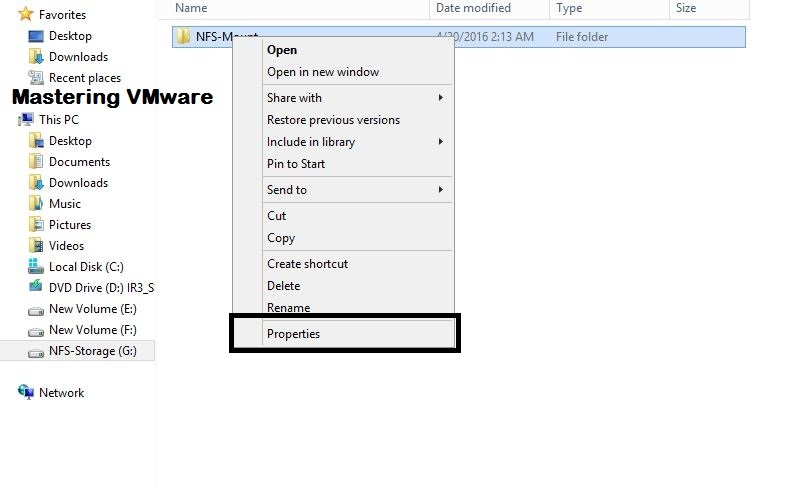 Create Directory or choose the directory which you want to use as NFS Share. Choose the Tab “NFS Sharing” on top. 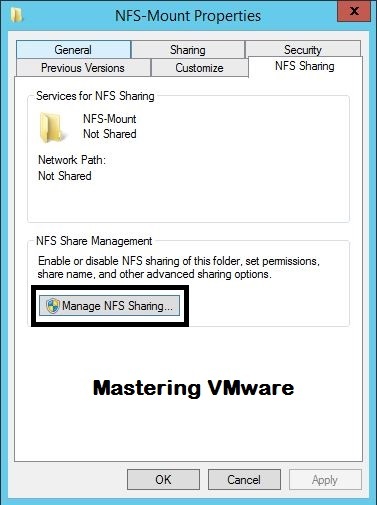 Click on “Manage NFS Sharing “. Check the box “Share this folder”. Click on the Drop-down Type of Access & choose Read-Write. Check the box Allow root access. Click OK to save & close. That’s it you have successfully created NFS Share. How to add NFS datastore ?